Susan Makara has been an artist since she could hold a pencil. After earning a Bachelor of Fine Arts degree in Communication Arts and Design from Virginia Commonwealth University she was Assistant Art Director at Model Secondary School for the Deaf located on Gallaudet University’s campus in Washington DC. In Colorado Makara opened a business designing and constructing decorative stained and etched glass windows and doors in Evergreen. In Virginia she was the Graphic Artist on the PBS Series, “Powerhouse”, created cover art for Recorded Books, and drew story boards for television commercials. Selected for many exhibitions and accumulating multiple awards, Susan Makara appeared in Koan Magazine as 1994’s Best Emerging Artist. Currently she maintains a solo studio in the Torpedo Factory Art Center in Old Town Alexandria, Virginia, where she was honored in 2012 as Artist of the Year. Some notable private and public collections include Barbara Bush, James Brady, Hayley Mills, the Jordanian Royal Palace, the Buenos Aries School of Art Museum, and US Embassies in Germany, Nigeria, and Nepal. SUSAN MAKARA… Her unique take on Aspens... Get your exclusive PHOTOGRAPHIC PRESENTATION. 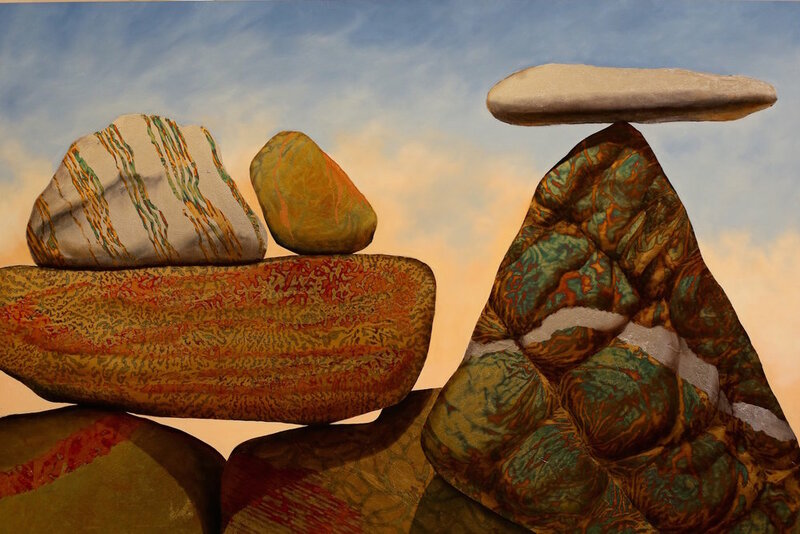 Brand new collection… SUSAN MAKARA… Abstracts and Rocks… She’s back! Interview with Susan Makara, our Rock Lady!!! Susan Makara's use of metal leafs is outstanding! 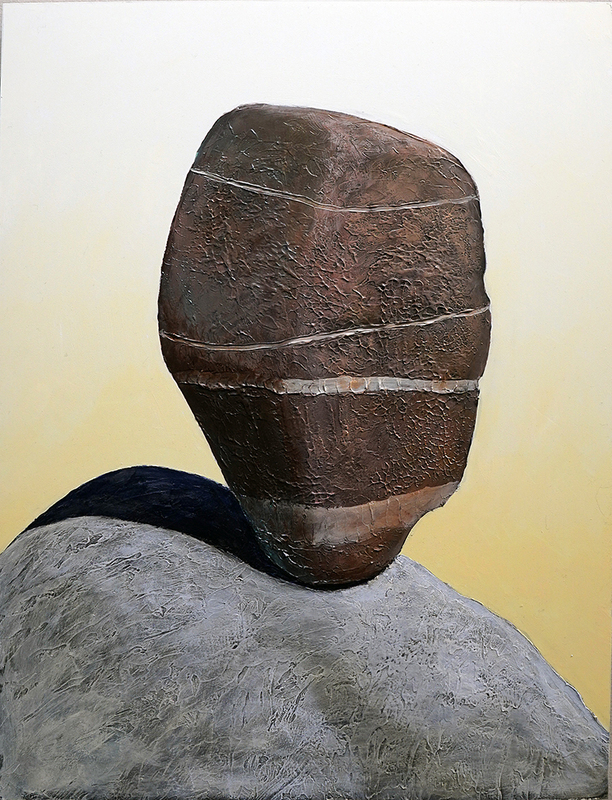 Susan Makara's initial moments with "cairns", the origins of our visual Rock-Star. SUSAN MAKARA - Poetics of Lights, Magic of Cairns. Susan Makara - the 'Rock Series'... Available at the Aspen art Gallery! Susan Makara gives her insights about 'Land Escape', her latest Abstract Artwork.